Teaching Math through Literature—with FREE Download! Reading, listening, writing, and speaking are skills that cannot be limited to one specific discipline. They play a role in all areas—even math! The educational trend is toward integrated curriculum. The integration of math and reading makes math meaningful and creates real-world connections. Research shows that incorporating children’s literature is a great way to open the lines of communication about math. Students become better critical thinkers and improve problem-solving skills when the two are combined. If you, as a teacher, look forward to teaching reading and language but dread math, try incorporating a book into your lesson. Or maybe you have a student who is into reading, but not so great with numbers—they can make the connection through books! Books can be used to pose a problem. Read a book that lends itself to numbers. Stop reading after you come across the character's problem and have the students solve it mathematically. 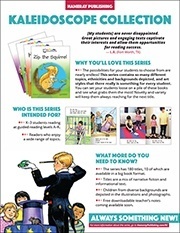 Create task cards with math problems to accompany specific books in your reading center. Use a book to set the stage for a new math concept or to review a previously learned skill. Use a book as the basis of your math lesson and let the students create equations that relate to the story. Introduce certain manipulatives through literature. If you read a book about cookies, give the students paper (or real!) cookies to solve the problems. Any type of literature can be used for its mathematical instruction. The books you use do not have to be written specifically for one math skill. You can take a real world situation from any book and create a math task the students can relate to and solve. Hide math in the story! Math can be fun! Take for example, Baseball Shapes by Jamie Duncan. Obviously, this book is intended to teach shapes, but it also incorporates real-world connections by using baseball to appeal to students. Most students can relate to baseball either through having seen it on television or through playing on a team or on the playground. After reading this book, I would encourage my students to find more of the shapes named in the pictures, then around the room. I would even take them on a shape hunt around the building to identify these shapes in real life and to find shapes I had previously hidden. I have included the materials you need to go on a shape hunt of your own free for you to download. I hope you will share ways you incorporate literature into your math lessons in the comments below! To download the Shape Hunt Word Cards, click the cover image below. To learn more about Kaleidoscope, you can click here to visit our website, or click the series highlights image below to download an information sheet with key features.